Maxi dresses are back this spring in both tribal designs and minimalistic shades. They're an easy way to look chic and put together. While maxi dresses may seem a little intimidating to wear, pair the right type of maxi dress with some fun sandals and you're set. Rocking a maxi dress is all about wearing it with confidence. You look great in it! Now all you have to do is put it on and really believe it. Ditch the plain flip flops and have fun with your shoes. Pick out Greek inspired sandals or summer beach footwear. Keep the jewelry and accessories to a minimum. The dress should be the main attraction. For minimal accessories, try pairing your maxi dress with sunglasses or a few bangles. 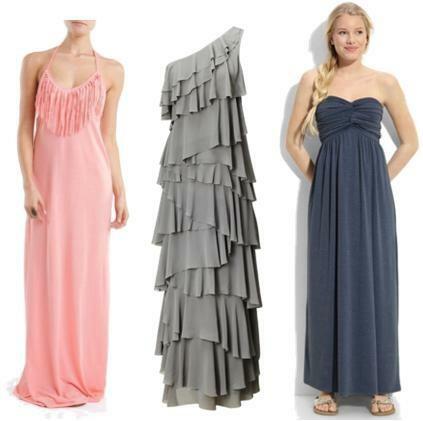 Will you be rocking maxi dresses this summer?